The lives of students are growing more turbulent with each generation. Thanks to a rapidly changing job market and increasing educational demands, many students find themselves getting lost in the shuffle and unsure of how to manage their school lives. This is where the efforts of a professional school counselor come into play. It is the responsibility of a school counselor to help guide students through their school lives in a way that best helps them reach their academic goals. In other schools, your job may also go as far as to lend a listening ear and emotional support to students who need it. Regardless of the extent of your duties, as an aspiring school counselor, you have quite a bit of responsibility ahead of you. The state of Illinois wants to be sure you’re prepared for it. That’s why they require all incoming professionals in your field to take and pass the ILTS School Counselor exam. This exam specifically evaluates whether you’re ready to take on the role of a professional school counselor, based on your comprehension of the concepts you’ve learned throughout your certification training. The ILTS School Counselor test is three hours and 45 minutes long in terms of time span, within which you’ll have to complete 125 questions. The idea of taking such an important exam may seem intimidating. However, the Mometrix Test Preparation team wants to assure you that you have nothing to fear! 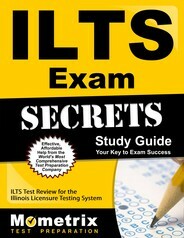 We’re here to help you prepare with our ILTS School Counselor practice test. 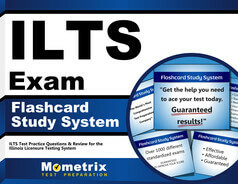 This free study tool is designed to give you an accurate glimpse of the full ILTS exam, so you know what to expect come test day. It is ideal for those who want a more hands-on study tool. For an even more thorough study experience, we recommend pairing our practice test with our ILTS School Counselor study guide, also featured on this page. Good luck!